Tonight was an incredible night. 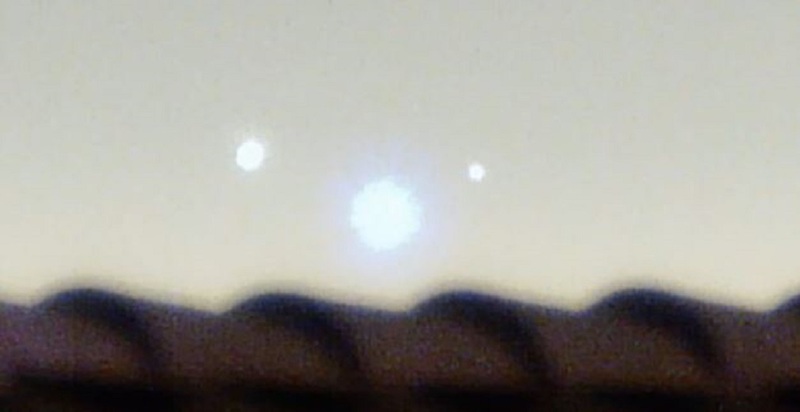 It was a bit hazy in Las Vegas but it had no effect on three UFOs I caught over Sunrise Mountain on the eastern side of Las Vegas. 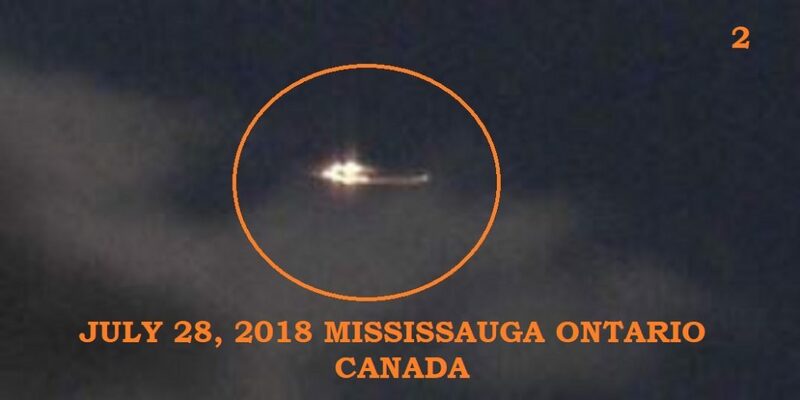 When I first spotted them I thought it was possible that it was a large airplane coming into land but it was going the wrong direction and the three lights were not flashing and there were two fireball looking lights with a lighter one in between. As I was looking at them through my binoculars I realized rather quickly that these lights had nothing to do with an airplane because there were no red and green lights and they continuously changed positions and eventually spread out from one another. They moved very slowly towards Nellis Air Force Base which happens to be very close to Sunrise Mountain. As they slowly moved they began to go lower and lower. I had to move the cameras several times because a chimney on a neighbor’s home was in the way and then they got so low I had to put the night vision camera up on three upsides down ceramic plant pots. It got to the point where the camcorder was useless because they were so low I could no longer see them so the night vision camera actually got more video than the camcorder did. What was most amazing of all is that this was something new. 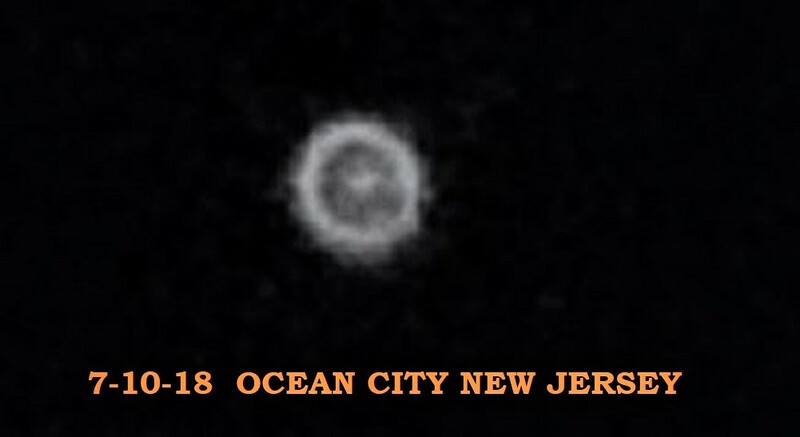 I had never filmed UFOs before where I began to film them and because of where they ended up. When I finally turned the night vision camera off at least two of the three had stopped in the exact spot where I get so much video from the Air Force Base. This was the first time I have ever filmed them coming in from that height and location. I am publishing a full-length, combined version of these two videos (Camcorder and Night Vision) because I haven’t done so in the past. 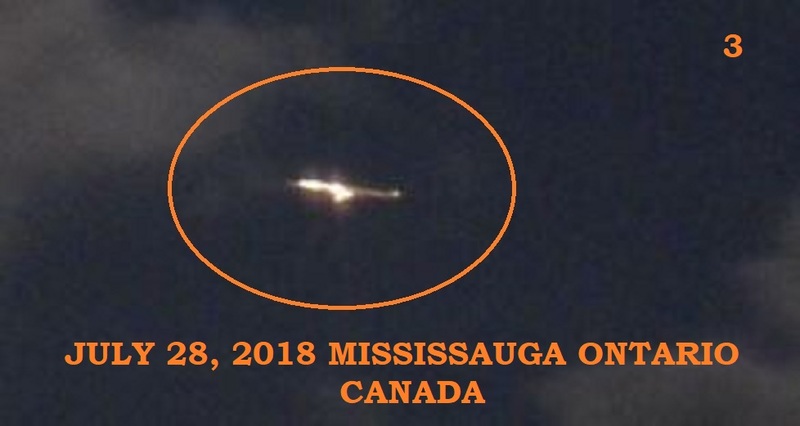 The point in publishing both of these at actual speed is that I filmed these three incredible UFOs with two completely different cameras over a period of about seventeen minutes. I keep hearing from people (so-called experts) that everything I film is airplanes, helicopters or cars coming down a mountain road or trail. 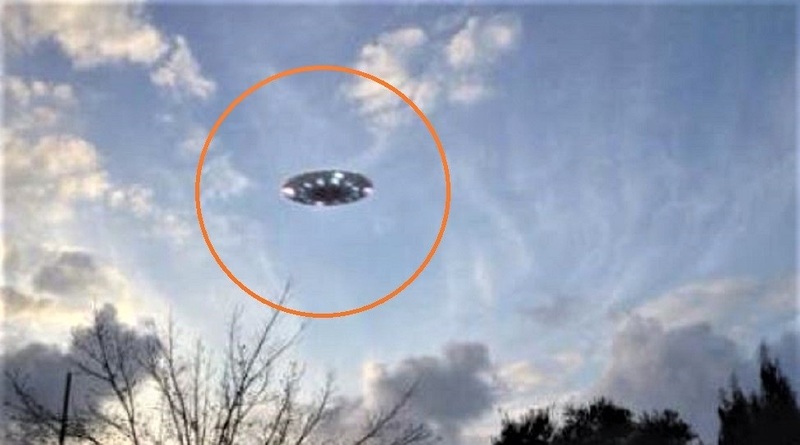 The very same people say they are not experts on what a UFO looks like on a video and they don’t have any UFO videos of their own but in the next breath, they boldly say that I am filming cars and airplanes. Which is it? Are they or aren’t they experts? You can’t have it both ways. Either you are an expert or you’re not. Sorry for sounding grumpy but it gets pretty old after more than four years of spending countless hours outside at night watching for anything strange that happens in the sky and even on the ground or just above it. I have never, as a matter of factly, boldly claimed the objects in my videos are anything but UFOs and amazing technology. KENS NOTE: I was able to extract two images from the video. 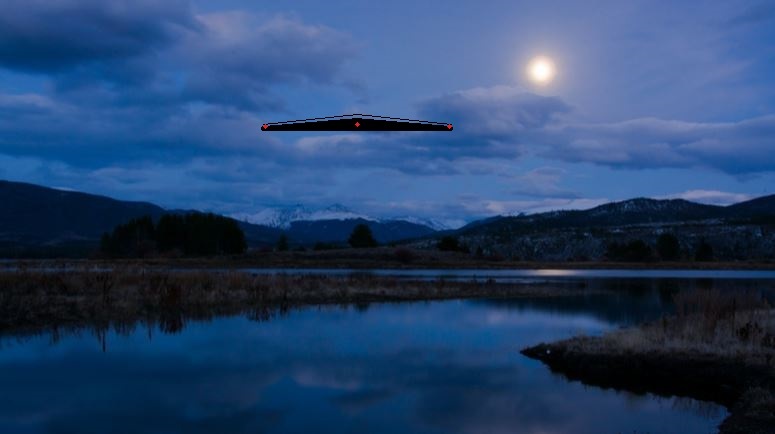 Although figures vary between different UFO organizations and groups, just under half of all UFO sightings take place near to a significant body of water. This statistic alone creates many theories as to why this might be. 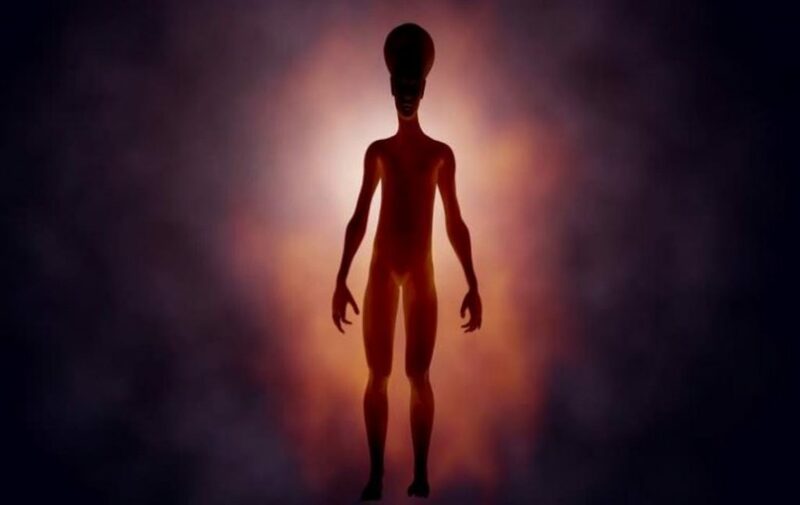 Some believe “alien bases” reside deep down at the depths of the Earth’s oceans, seas, and lakes. Others speculate that these cosmic crafts use the underwater world as a way to traverse the planet. Some even go as far as to suggest that “portals or gateways” may exist, or be created under the water, which allows travel to elsewhere in the universe. One of these bodies of water, Lake Erie – one of the “five great lakes in North America”- is one that has a plethora of UFO sightings to its name. The ancient lake runs from the Ontario Peninsula in Canada and has shores in four US states. One of these US states, Ohio, was the subject of a highly detailed sighting of a strange, and still unexplained object in March 1988. Not only were there multiple witnesses to the events, these would include two members of the Ohio Coastal Guard, who would make an official report. The Baker’s Usual Friday Night Drive Was Anything But! The Baker family would eat out every Friday evening. Sheila and her husband, Henry, and their two children looked forward to it each week. On Friday 4th March 1988, all four of the Bakers were driving home following their usual Friday night meal. It was a little after 8:30 pm. Henry was driving, and the two children were in the back. The heavily pregnant Sheila, meanwhile, looked out of the passenger window at the frozen Lake Erie. The ice almost shined in the moonlight. Then, she saw a strangely lit object “rocking on the surface” of the lake. She nudged her husband who took his attention away from the road for a moment. He could see it also. At Sheila’s insistence, he would turn the car’s direction towards the waterfront. Once there, they instructed their sons to remain in the vehicle before opening their car doors. They stepped out into the cold night and began to cautiously make their way the to the water’s edge. The lights were still there. What Sheila first noticed, though, were sounds that appeared to be the ice of the frozen lake cracking. She would liken them to “claps of thunder”. As they got as near as they could without stepping on to the ice they could clearly make out a “football-shaped object” with bright white lights at either end. 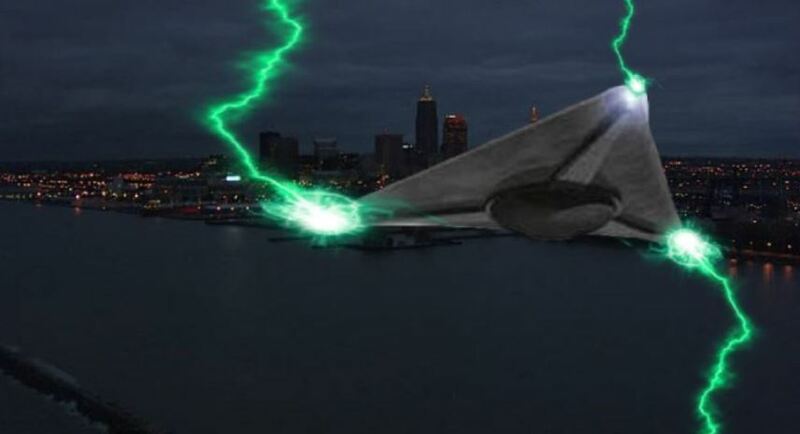 The object itself appeared to be of a “gunmetal gray” color and was hovering overhead as opposed to being on the surface. Despite the obvious movement, the strange craft made no noise whatsoever. All Sheila could hear were the sounds of cracking ice. Suddenly, as if it had become aware of their presence, the object “swung towards them”, heading in their direction. Panicked and frightened, the couple turned and ran back to their vehicle. Henry would drive the remainder of the journey with alacrity. Once the Bakers arrived at their home and settled their children in bed, Sheila would contact the police to report the sighting. They would tell her that she would have to make the report to the Coast Guard. She did, and despite their initial refusal to deal with the case, would eventually agree to pick them up and take them back to the waterfront. Meanwhile, the Bakers could clearly see the object hovering over the lake from the window of their house. As they watched, six independent triangular objects suddenly emerged from the larger one. They would move around the main object in a darting motion, before stopping suddenly. They would then move in the direction of the Perry nuclear power plant. The Bakers would ask a neighbor to watch their children, and when the Coast Guard arrived, they would accompany them back to the lake. According to the officers, James Power and John Knaub, several other reports (including from their own employees) had come in regarding the object. As the coast guard’s vehicle pulled up at the waterfront, the smaller triangular objects were once again circling the main craft. As soon as the coast guards opened their car doors the sound of “rumbling ice” met everyone’s ears. This was constant, as if the object’s purpose was to crack the ice and gain access to the water below. The coast guard’s report would state, “The ice was cracking and moving abnormal amounts”. Whenever the object came closer to the surface, the cracking sounds became more intense. The coast guards would radio back to their control base stating that “the object appears to be landing on the lake”. The coast guards would continue to advise the control room of the situation. 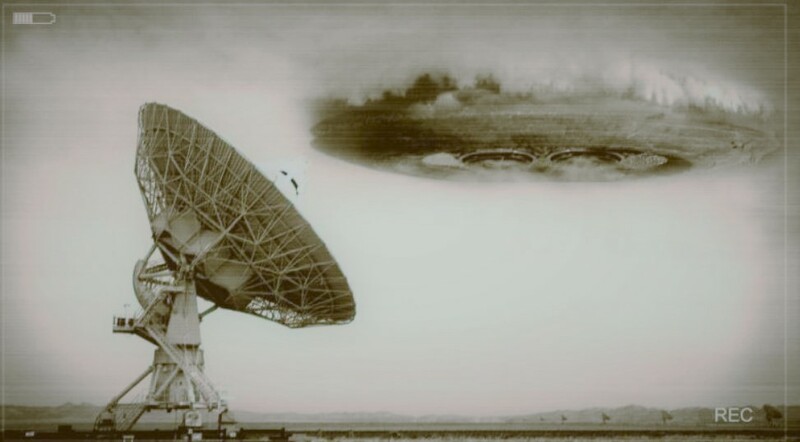 As the triangular crafts became active once more they would report that “there are other objects moving around it”. Furthermore, these objects were “going at a high rate of speed”.As Sheila and Henry, along with the two coast guards continued to watch the fascinating display, they noticed one of the triangles suddenly turn in their direction. It was heading straight for the coast guard’s vehicle. Right before what seemed to be an inevitable impact, the object veered upwards in a “blur of light”. It then returned to the main, larger craft, as did the other smaller, triangular objects. All the while, the sound of ice cracking continued. 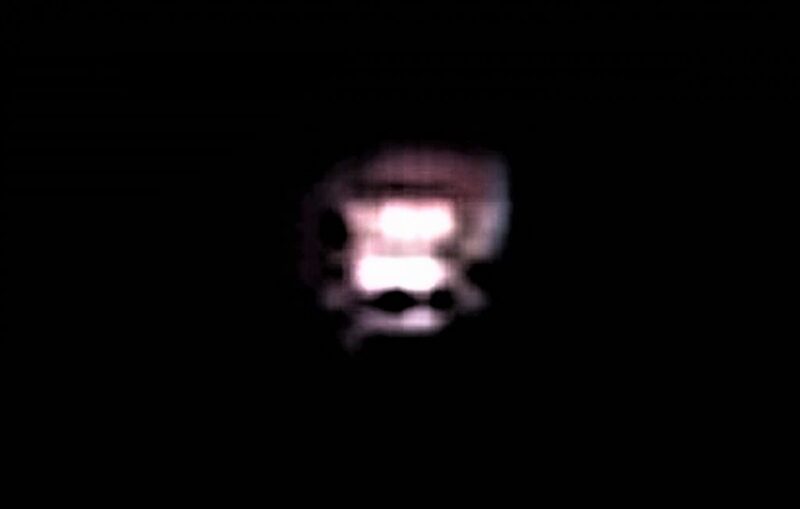 It seemed that the previously bright, white lights of the craft were now beginning to flash and glow in a display of red, blue, orange, and green. The craft itself appeared to be descending. The lights went out for a second and then returned. And then, without warning, the lights and the rumbling audible carnage were gone completely. 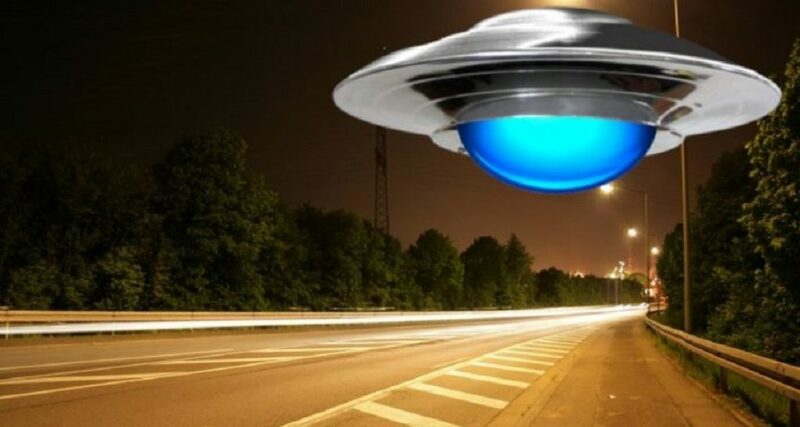 The witnesses were not clear if the craft had sped away or if the lights had simply gone out. Perhaps it was still hovering over the ice only now they couldn’t see it. Sheila, though, would voice her suspicion – for reasons she doesn’t know – that it had plunged directly below the ice and into the frozen waters. 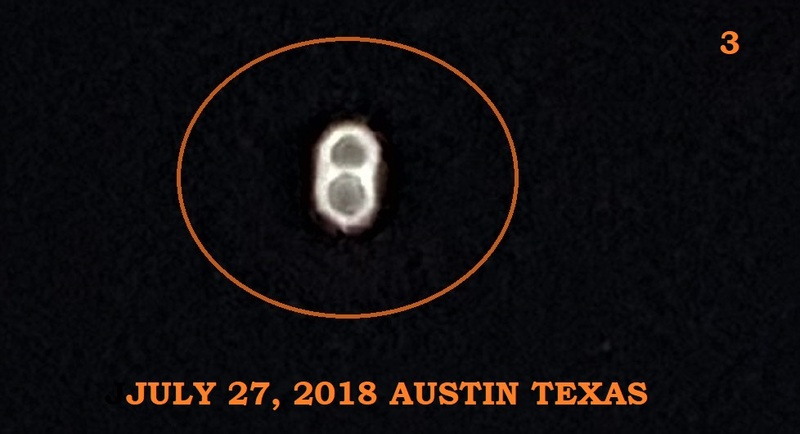 Although several of the smaller triangular objects were seen flying directly overhead a little later that evening, the larger craft didn’t reappear. One of the coast guards would report that the triangular crafts behaved as though they were “scouting” the area. None of the coast guards could identify any of the objects they witnessed. NOTE: The above image is CGI. At 7 p.m. est on 8/2/2018, I took trash to the back yard. It was very blustery. I “felt” I should look up. I noticed what I thought at first was merely an unusual cloud shape. The day had been rainy. Unlike the other clouds, this cloud did not move with all the wind. It was massive. It was shaped like an upside-down bowl with 4 equal, angular projections, much like stairs canted at an odd angle. 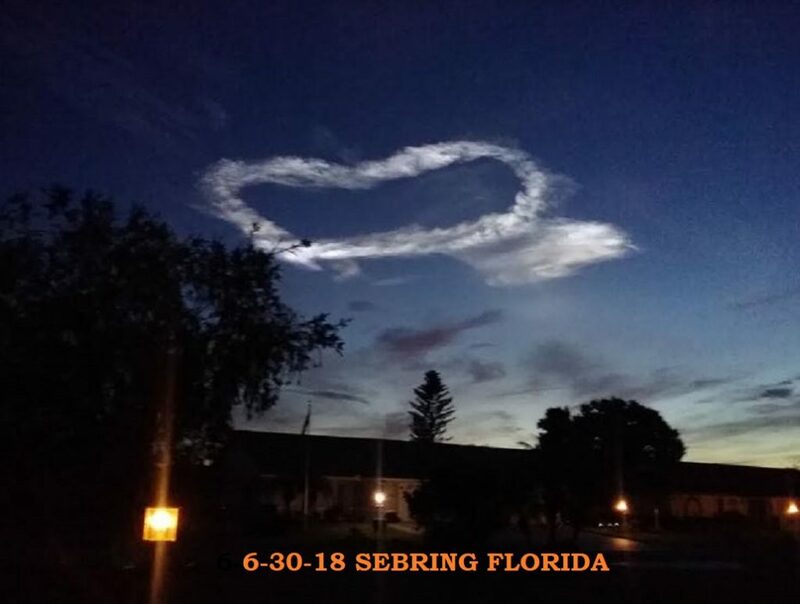 Approximately 1/3 to 1/2 of the object was visible based upon cloud cover.  Only the western area of the craft was visible. There was a great deal of shifting cloud activity. That is what caused me to watch the thing. It never moved. Its visible edges were crisp and unnaturally geometrically precise for a cloud. Clouds of varying shapes and sizes passed in front of it, behind and above it. Smaller clouds passed across it rather quickly. At one point, the sunlight directly illuminated the object’s western edge/area. Its outline became even more precise. The object was a dull, non-reflective, gray. It was opaque. clouds that blew behind it disappeared. I live near multiple naval stations, Oceana Naval Air station, and a mile from Norfolk International Airport (ORF). It is common to see aircraft, including awacs, all over at that time of day. Not one aircraft was visible for at least 15 minutes. Normally, I can hear planes taking off from ORF. I lived for years within walking distance from Santa Monica airpot and 7 miles from LAX. I used to park just west of LAX and watch the planes ascend and bank over Santa Monica Bay. I have been to multiple, military airshows. I know what “regular” aircraft looks and sounds like.) I felt mildly afraid. mostly, my initial incredulousness changed to one of “holy crap, that thing’s enormous!” I “heard” the phrase “We’re here.” I felt deep jabs in my left and right temples, alternating. I had been feeling them all day. A very deep cloud cover came in from the east, opposite the prevailing wind, and completely hid the object after about 15 minutes. Shortly thereafter, regular air traffic commenced-commercial jets, small props, etc. but not one Navy jet, awac, or any groups helicopters were visible or audible for hours. I tried to file this report within an hour of the sighting. everything I typed was scrambled, I could not enter numbers, etc. It looked like a monkey banged on my keypad. This continued for several hours. I quit trying, until today. whatever this thing was, it was gigantic. Aircraft carriers or tankers could have fit into it by the thousands. a day later, I managed to speak to a friend about my experience. Her family, and several neighbors, saw a similar object in the early 1960s. It also hovered, made no sound, and became obscured by clouds. neither the object I saw, nor the object seen by my friend, looked like anything from popular tv shows or movies. I spent several hours on the internet looking at weird cloud formations. nothing similar. I have been feeling mildly anxious with a non-stop headache since thursday evening. I am prone to migraines, but this is different. the headache seems to be deep in my head, deeper than the actual physical confines of my skull-if that makes any sense. NOTE: The above image is CGI. 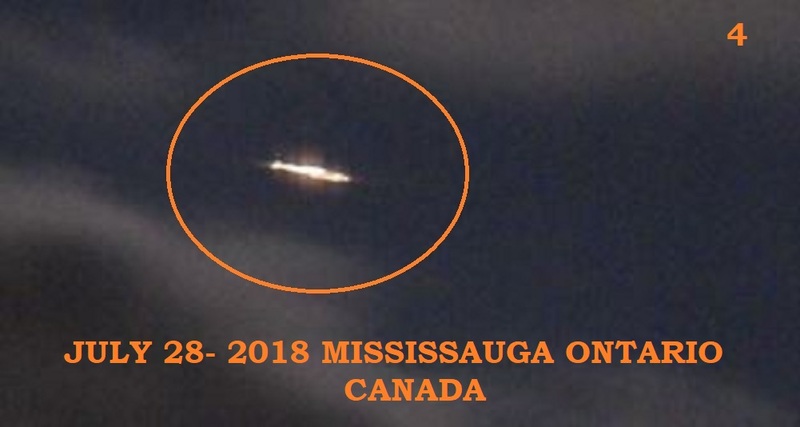 We have been observing a light in the sky for about 2 weeks. The light is visible starting at about 10 pm through 4am. The light looks to be spinning but does not seem to be a sphere More oblong or triangular. It appears every night at the same time and doesn’t follow other stars, planets or the moon as the earth rotates. Around 2 am the light will starts to move. It will zip to the right, loop go up and come back down. The light gets brighter as if spinning and on one occasion a Wawa Wawa sound was heard. It will move slowly up and down about 6 inches in 15 mins around the 10 to 12 hour. On another occasion I witnessed it at approximately 10:30 pm and the object was completely gone about 20 minutes later. 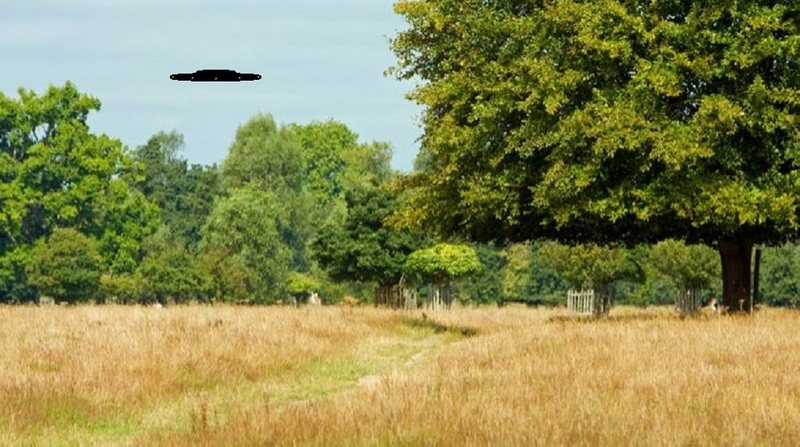 At that time I called a relative that lives about 10 miles away and they could see it moving towards the West at a high speed then stop and hover. The odd part is i live close to the airport and have seen plans fly right above it but never infront of the light. We have searched multiple sights seeing if anyone else has reported a similar sighting and have found nothing. 1. I was watching the sunset on a 2nd story porch facing the bay. smaller dimmer lights in the center. Moving very slowly. details we could see through the telescope. It was not normal. 6. I had to attend to my special needs daughter inside for about 15 min. night before on July 9th in the same place. I also reported seeing an object in the same area two yrs ago. I recieved an email from one of your investigators. Life got busy, I lost the email and I just let it go. Never thinking I’d see another UFO in the same place. In late-August 1990, only weeks before the official unification of East and West Germany followingThe lights had, in fact, been appearing since the first days in August, usually hovering over the waters of the Baltic. These lights would suddenly display movement not of any known aircraft. They turned with a razor-sharp precision and their speed was much faster than a plane or a helicopter. They would often appear for several minutes at a time before vanishing from sight. Several weeks later, however, they appeared much further near land. And what’s more, they were visible for a lot longer than a few minutes. 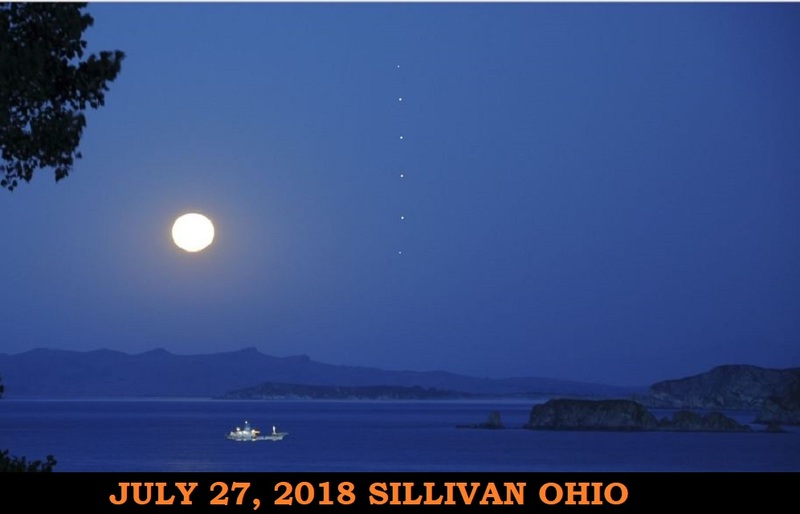 The strange spherical lights appeared in the early evening, around 8:30 pm on the 24th August. The sky had a burnt, golden orange tint to it as the Sun bid farewell until the following day. Residents would witness the events in their hundreds in Greifswald, Rostock, and Neubrandenburg. Other witnesses would include residents on the Isle of Ruegen, and the Isle of Usedom. Many would manage to snap photographs of the other-worldly display. Some would even capture video footage. That something was clearly visible that evening over East Germany is without doubt. A school field trip was taking place that week on the Isle of Ruegen. There were forty schoolboys and several teachers who all viewed the cosmic show from their accommodation for the thirty-minute duration. They would report that objects were in a Y-formation much the same as other witnesses. However, perhaps because of their vantage point, they were able to tell that the lights appeared to be individual components as they moved freely of each other, although they stayed within the boundaries of the formation. Another witness, Mrs. Vinogradova, along with her husband would witness the events from the second floor of their Greifswald home. The pair were at first disturbed by the sounds of a commotion from children in the street below. So noisy were they, that Mrs. Vinogradova went to the window to see what the fuss was about. 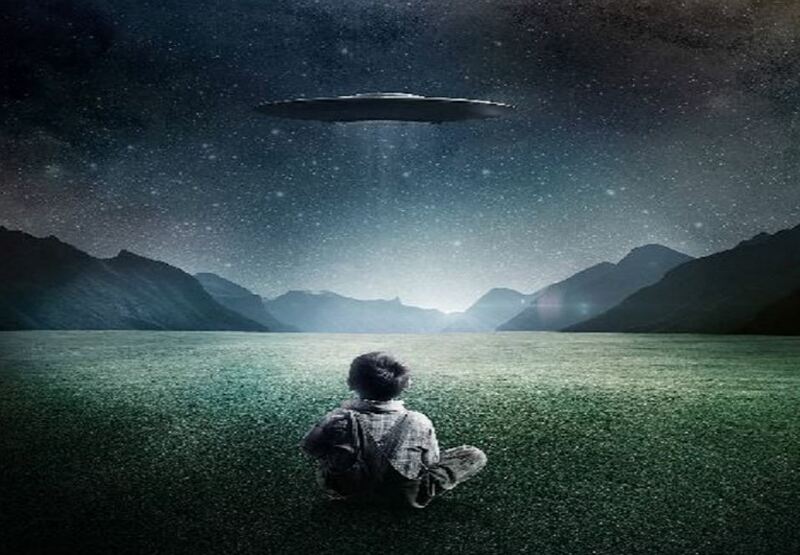 In front of their house, around fifty people – a mixture of adults and children – stood looking upwards at the sky. She followed the group’s gaze and soon saw for herself the “two luminous groups of lights” overhead. She would call her husband who saw them also. They too would report the lights moved independently of each other. the fall of the Soviet Union and the tearing down of the Berlin Wall, came a sighting over Greifswald, a city in the former East German territories near the Baltic Sea. I was Out camping. 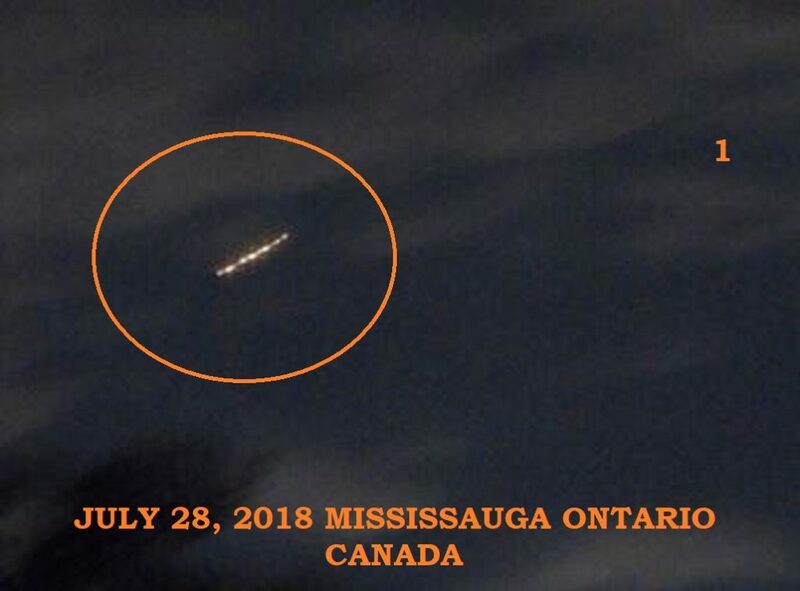 Odd lights to the south, flying low over horizon. Thought they were helicopter lights but no known flight path out that way, military? All of a sudden they were all around me. Small basketball-sized floating orbs. From seeing them in the distance, say at least 10 miles away, to having them all around me was a second or 2 at the most. They floated around me, I yelled, “ok MF’s”, as I readied myself for a fight, “lets get it on”. The next thing I remembered, at that time, was waking up the next morning. We were fully clothed, laying on our sleeping bags, (which were in the tent the night before). We were to be out camping for another week at least. Instead, we woke up, didn’t speak to each other, packed up camp and went home. Very very strange. Later I went to a college and took a writing course. The instructor had us do some free writing and this all came out. I am remembering things even now. I spoke with them on a ship of some sort. It was transparent inside, meaning you could see out in all directions. The sides and top, bottom, etc. like riding in a glass elevator. Feeling no movement. They were friendly and answered my questions. They read my mind I guess. I asked about a higher power in the (no human word applicable) cosmos, for lack of a better word. They said ‘yes’ but they didn’t know what it was. That interaction with them, the little guys, just came back to me a few months ago. I feel the need to share this but as you may imagine, this is a bit out of my league. Maybe you could get back with me? There is a lot more but the main point is yes, there is a higher power. NOTE: The above image is CGI. 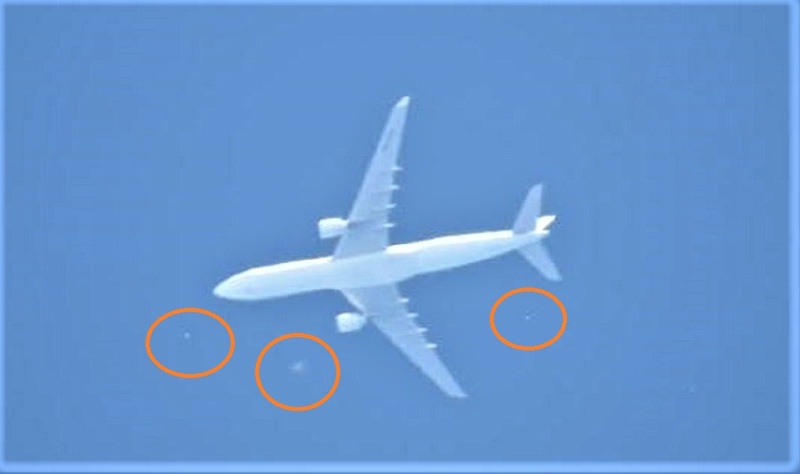 Hi Ken : I was sky watching at Teignmouth when I spotted an approaching passenger plane so I zoomed in to take a photograph and I was amazed to see that the plane was surrounded by lots of different sized UFOs. I was utterly astonished by what I was seeing I counted at least eight UFOs around the passenger plane. 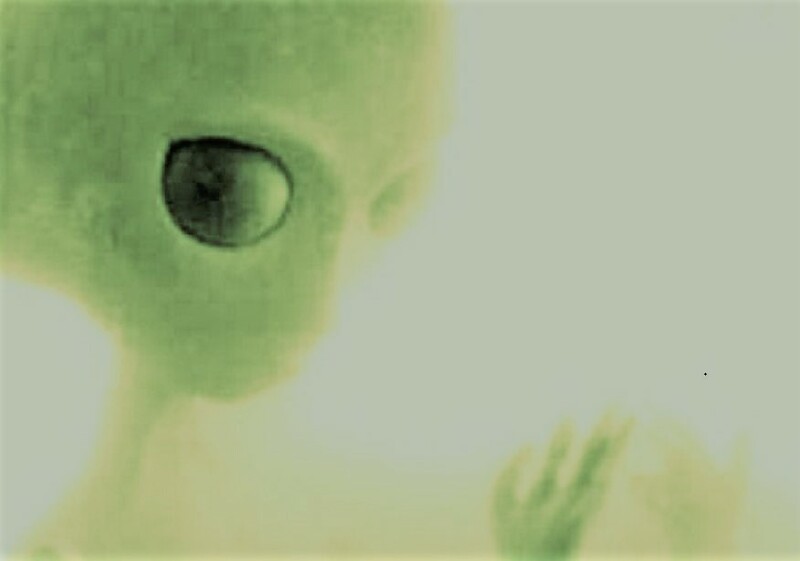 All of the UFOs were white and they all appeared to have a strange glow to them. 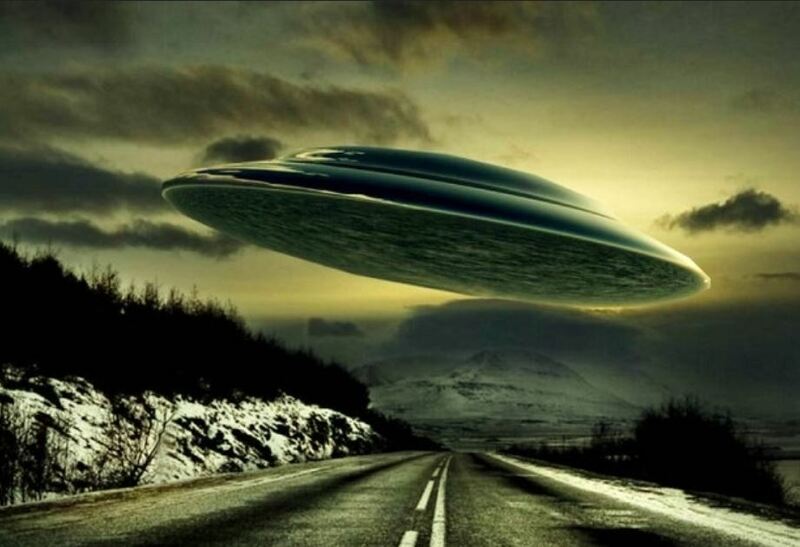 The way these UFOs were moving proved to me that they were definitely under intelligent control. 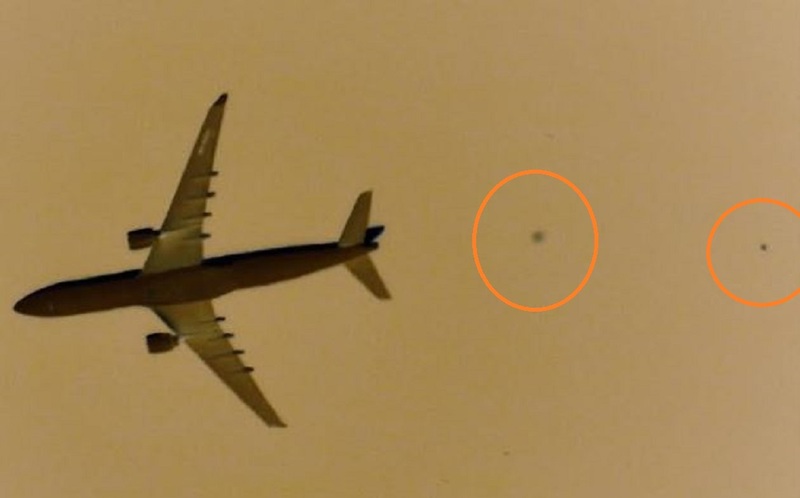 One of the larger UFOs passed directly under the right wing of the passenger plane while the smaller UFOs went to the front and the tail section of the plane. 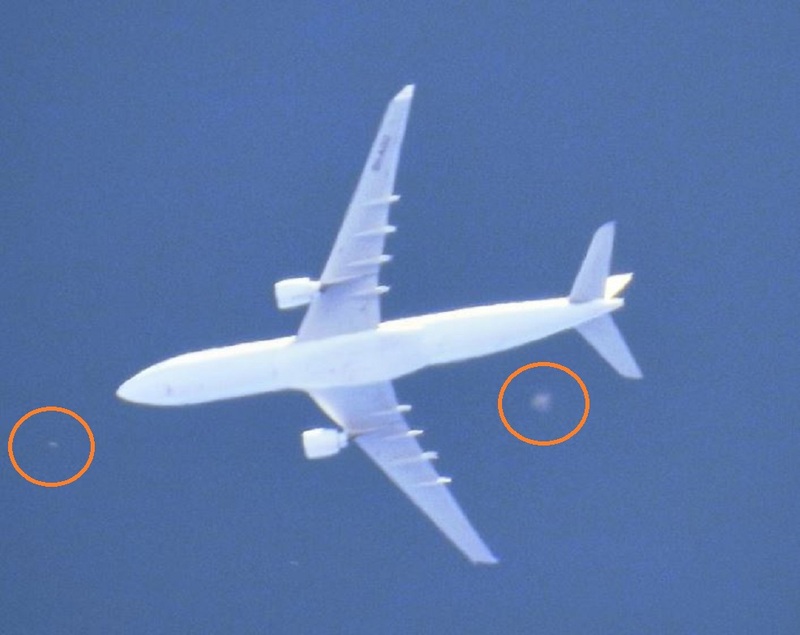 I could not believe that the larger UFO had passed by the planes powerful rolls royce engine with out being sucked in. 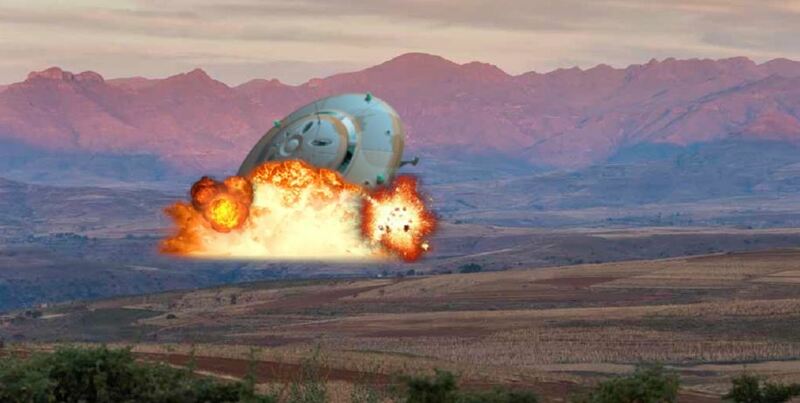 It proves for sure that these UFOs were not any airborne debris. While I had been watching this amazing event unfold through my camera’s viewfinder I had also been taking photographs. The camera was set to burst mode allowing me to capture four photographs of these strange UFOs as they had moved around the passenger plane. After taking the photographs I watched as the plane and the UFOs flew off in to the distance. I am now seeing a lot of UFO activity in Teignmouth and surrounding areas. I wonder what the reason could be behind this sudden increase in activity it really is fascinating. The photographs were taken on the 22nd of ‎July ‎2018, 3:33 PM at Teignmouth Devon England. All the best John. After studying these objects for the last 3 years, first seen in March 2015, I am finally getting good pics. Since the 4th of July fireworks season, there have been 6-10 objects visible each night in my area. I had been out, already recording several objects on this clear night with moon setting early, on the opposite side of sky from my area. I was looking to the SE, and a white star-like object was moving toward the north. Initial Az 115 deg, elv 90 deg; object moved fast past Vega (Lyra)to the north. Brightness about +2 magnitude. The object’s apparent size a little larger than a star. 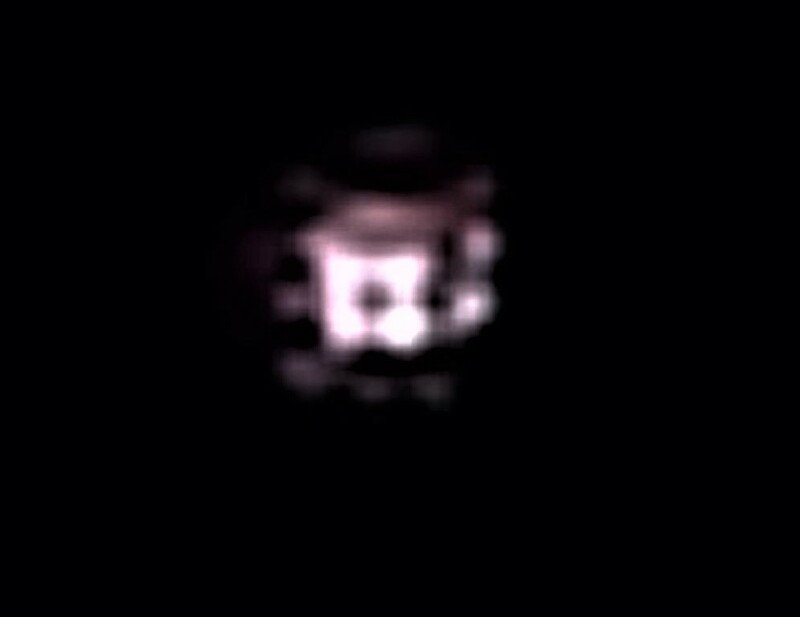 Photo shows 4 white circular lights arranged in a square, its own light source, not reflecting light. Surface is reddish. 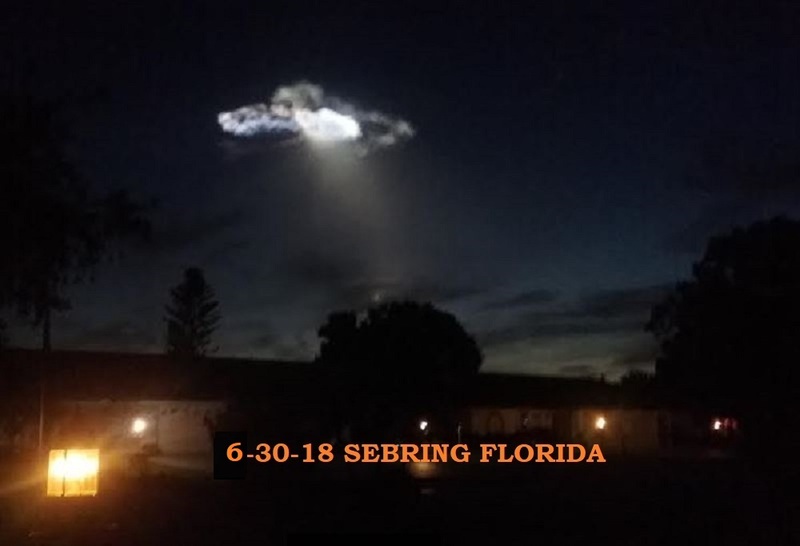 Like the other objects I observed, it appears to have its own light source, is tumbling and rotating through the sky, is only about altitude 2-5 miles (supported by detail obtained with low power equipment- LEO satellites at least 50 miles up), has no solar panels, has apparent metal structure. This one gradually descends while moving north; just after Cygnus it turned to the NW and headed toward the North Star (Polaris). It took 90 seconds to go from the SE horizon to passing over my roof and disappearing from sight in the NW. Final Az 4 deg, elv 45 deg (over roof). Again, at the end of the video I turned the infrared on/off so as to see the roof line of my building (white) for size comparison. (Turning on infrared turns video to black & white.) Not a commercial satellite; altitude to low, size and brightness too large (need binoculars to see LEO and higher satellites in my less than dark sky), moved too fast. Continued to see several others on this night, not videoed, but flashing light at them. Some respond by stopping, turning around, and even hovering nearby for extended time. Magnitude appears proportionate to velocity.